Today there was a major leak regarding the HTC M8, that’s now said to feature a dual camera and a fingerprint scanner. 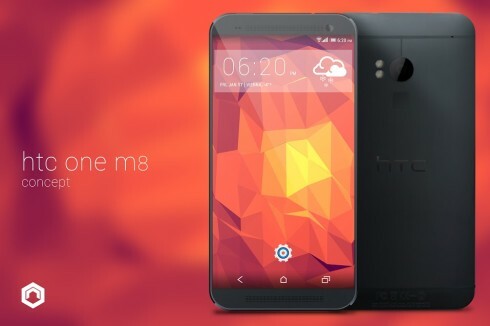 In the meantime we took to Google+, only to find a new render of the HTC One Plus/M8, that’s shown below. Created by Nikolai Prettner, this render shows us the general lines of the HTC One, but this time with a camera with dual LED flash, very slim screen bezels and no physical buttons. Also no capacitive ones! The handset is a bit wider than HTC One and also it seems a tad rounder at the top and bottom. Back to the leaks, I’ve heard that HTC One 2 may end up not being called HTC One Plus, because that name is already trademarked in USA by another company. HTC One M8 sounds like a good name, but it’s probably not going to stick. We’re looking for a decent replacement name right now. What are your suggestions? Also, what do you think about this design?